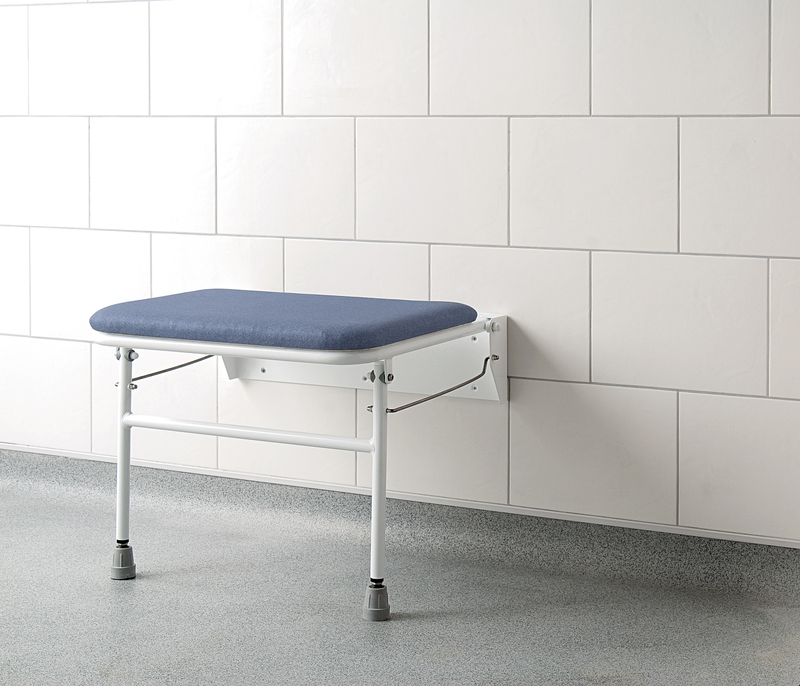 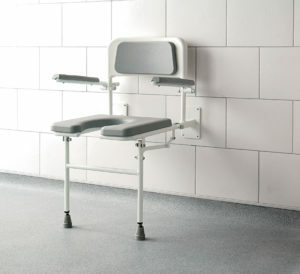 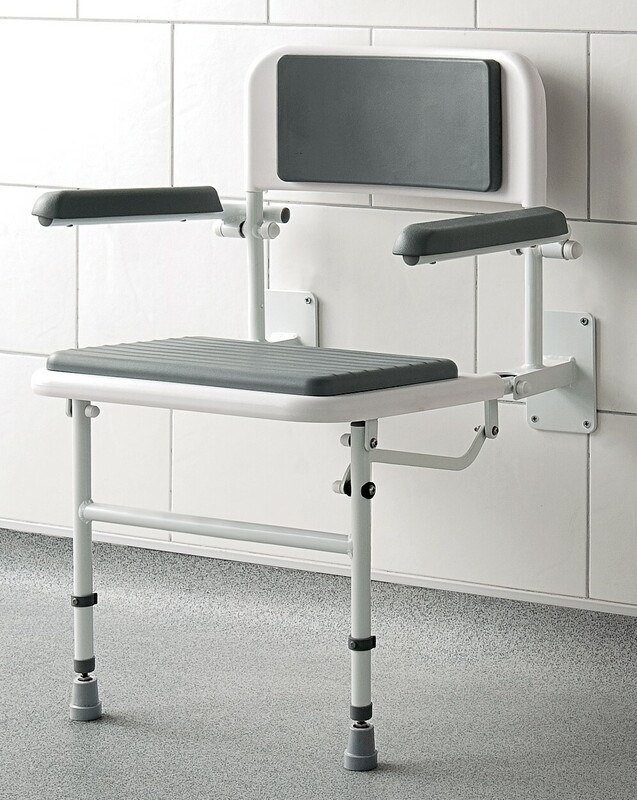 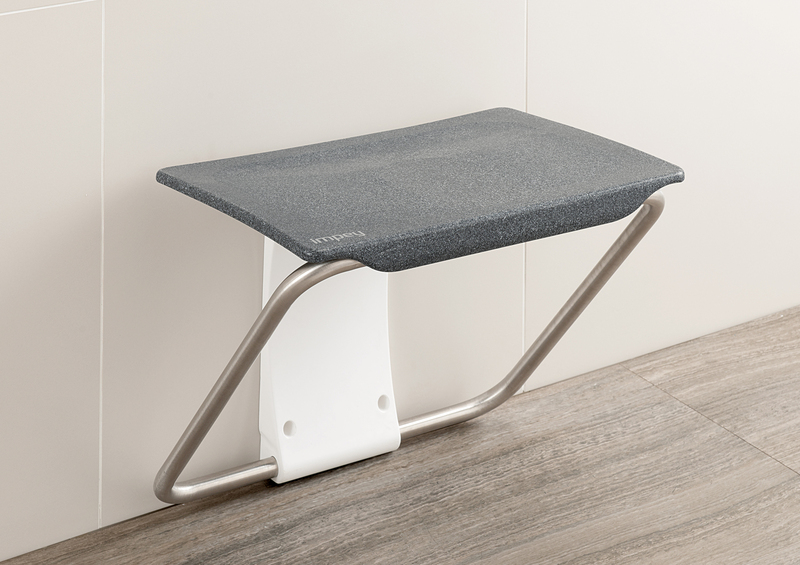 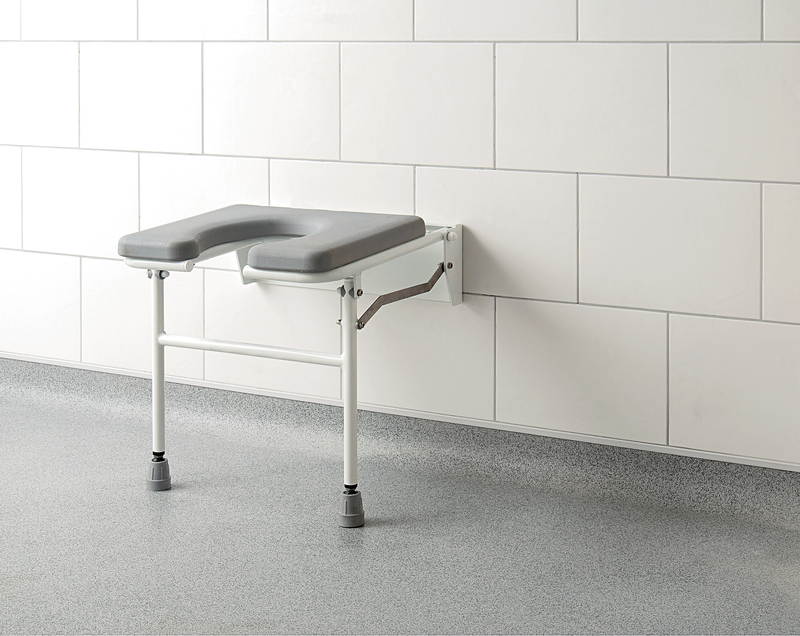 If you need support when showering, then our range of shower seats will provide the security and comfort you need. 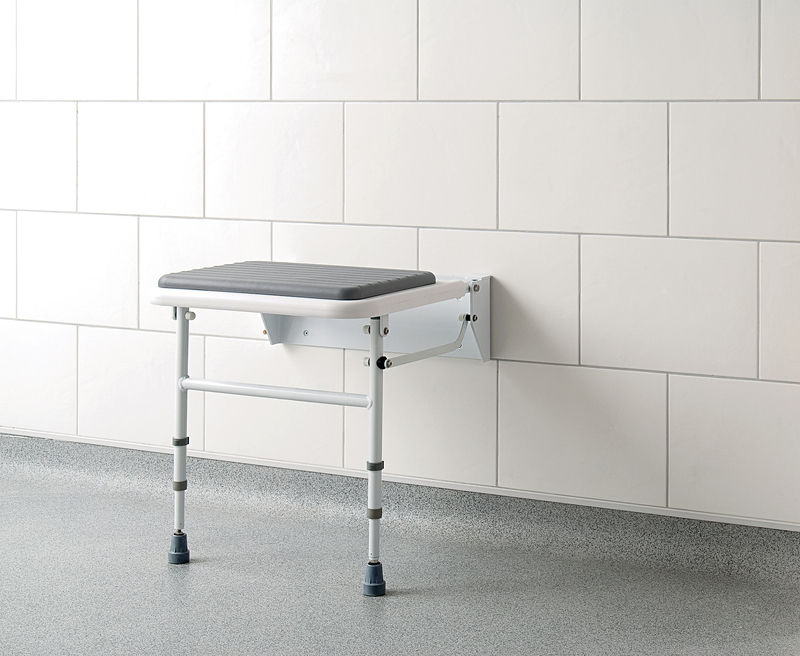 You can choose from a wide range of styles, materials and sizes. 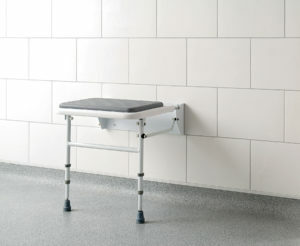 When folded up, they are unobtrusive and allow others to stand and shower as normal. 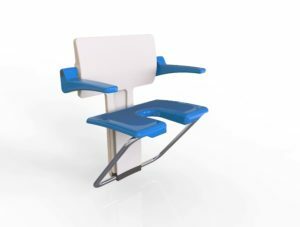 All of these seats are extremely well made, and are backed by a Lifetime Guarantee. If you require a seat which is not shown, then please call. 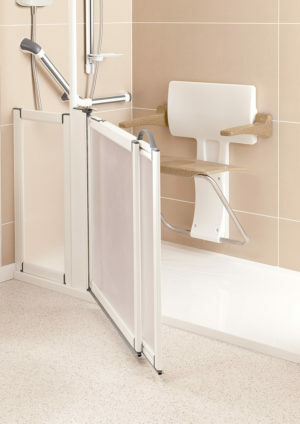 We have access to a wide range of manufacturers. 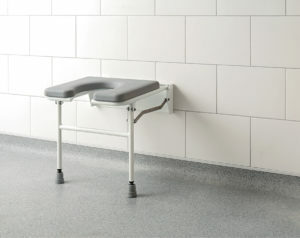 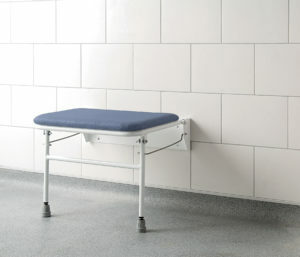 Extra wide, extra strong padded fold down shower bench.